The opening line of Banana Yoshimoto’s emotional novel Kitchen says it best: “The place I like best in this world is the kitchen.” Indeed, the average family visits the kitchen some 40 times a day, so it’s no exaggeration that the kitchen is the hub of the family. As the largest digital appliance in any home—and one that is turned on 24/7—the refrigerator is hard to ignore. It’s central to our lives. It keeps our food fresh, and it’s a hub for families, who often use it to post things like daily reminders, children’s artwork and family photos. That was the thinking behind Samsung’s new Family Hub refrigerator. Our designers were looking for something completely different. They wanted to give our refrigerator a whole new face and enhance the connection between families, their food, and each other. That’s how the Family Hub’s Design Team came up with the idea of attaching a 21.5-inch interactive touchscreen directly onto the door. But that was the easy part. They then had to figure out what the interface should look like, how to implement it, and how it would work with all our devices. Before turning a great idea into action, the team engaged in extensive research and consumer observation to come up with the most ergonomic options. Through these studies, four major consumer insights were realized. With these valuable insights in mind, the team worked to create a refrigerator that would form three specific connections: between the consumer and their food regardless of location, between recipes and enthusiastic chefs at home, and, most of all, between families with each other. I’ve written this long list of things I need, but I still can’t remember if I need eggs. Three internal cameras take a picture inside the refrigerator every time the doors close. 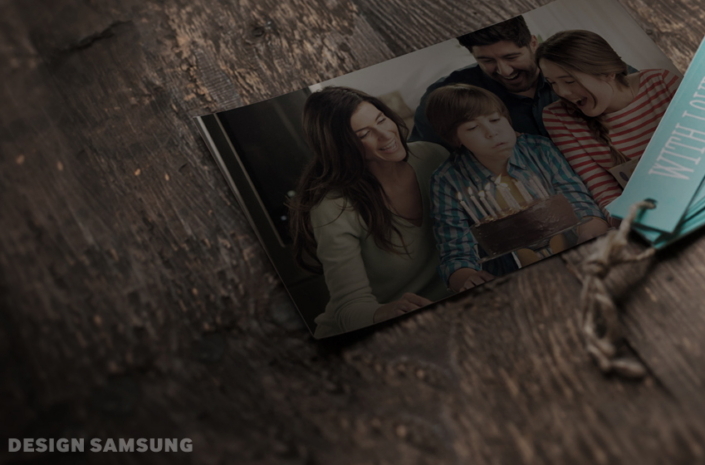 You can use your smartphone to access the photos anytime, anywhere. With the View Inside feature, you don’t have to worry about doubling up on groceries. You can even keep track of expiration dates to conveniently manage your food. The touch and drag feature and the memo feature that lets you leave notes next to the food items are highly intuitive and easy to understand. And if you are running out of something, you can add that food items to the My Shopping List. I really want to show off my cooking skills with something different, but I never have enough time. Club des Chefs contains recipes from world-renowned chefs and restaurants. In addition to assisting consumers in finding recipes, Family Hub also works as a platform that connects families to their most commonly used food services. When necessary, it can read the recipes aloud with Text to Speech (TTS) and can understand verbal instructions such as next or previous, so consumers don’t have to flip through their smartphones or physically touch the Family Hub screen when they’re elbow deep in pancake batter. Recipes are listed in order of difficulty and can be selected by inputting the ingredients available in the refrigerator. Once you select a recipe, a link allows you to directly purchase the ingredients you don’t currently have. 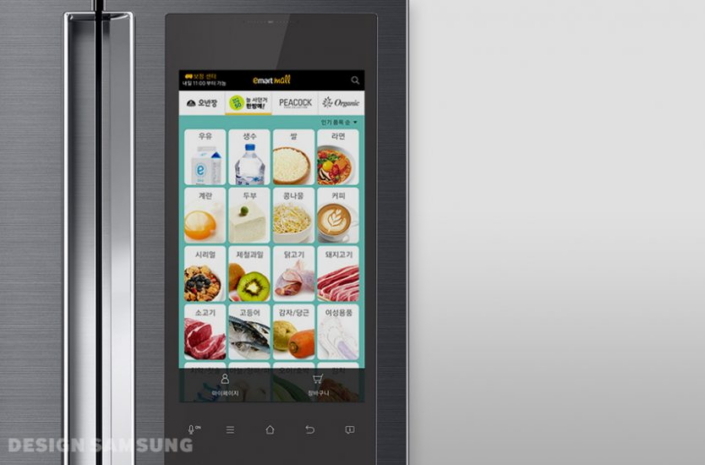 Family Hub will soon connect to a variety of shopping portals: Emart in Korea and Groceries, developed by Samsung and Mastercard, in the United States. I really want to spend more time with my family. But when I’m heading to work, my son is coming home. And my wife works at completely different hours. Family Hub’s digital family bulletin board brings families together with seamless communication. Family Hub can even help families get on the same page. They can share notes with a digital app called Sticki, and put photos directly onto Family Hub’s interactive touchscreen so conversations can be even more meaningful. It’s just like an old fashioned bulletin board, except so much better. 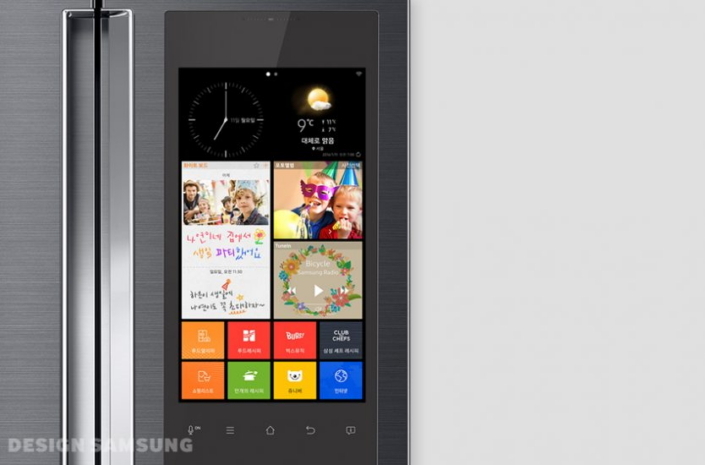 You can see your Sticki board, and even change it, from wherever you are via a mobile device. Now the kitchen really is a hub. Family Hub doesn’t just transform the kitchen, it can re-create traditional family dynamics. 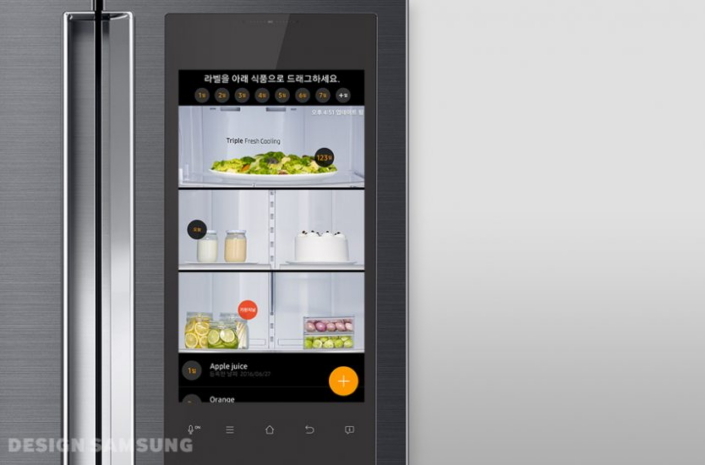 The touchscreen’s UX design improves consumers’ lives by connecting them to their refrigerators from outside, to thousands of recipes and recommendations from famous chefs, and to their families. In the age of the Internet of Things (IoT), Family Hub is the centerpiece of any Smart Home. 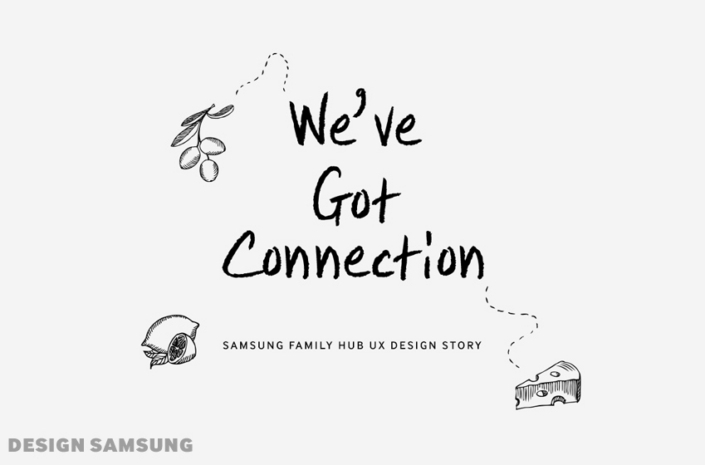 To see the original article http://design.samsung.com/global/contents/family_hub/.